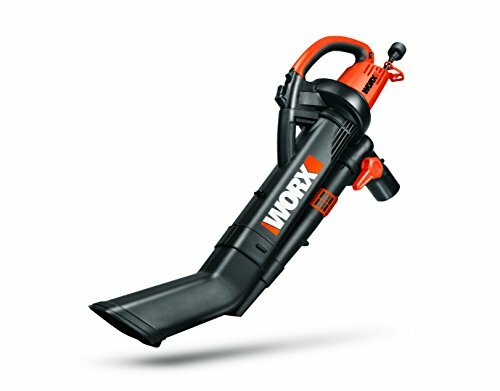 The WORX TRIVAC with its powerful two-stage metal impeller plus shredder blade provides 18:1 mulch ratio. 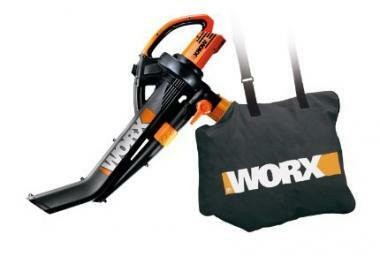 This is the easy-to-use, 3-in-1 system for blowing, vacuuming and mulching leaves. No stopping to change tubes and no downtime to switch from a blower to a vac. This machine does it all with a flip of a switch and no tools. The balanced single hand operation makes it easier to maneuver and control without much fatigue. In vac mode, the innovative vacuum tube design provides 350 cfm of volume even when reaching under decks and patio furniture. In blower mode, the air speed can be electronically adjusted from 75 to 210 mph for more power on demand, or to maximize performance for blowing and sweeping in corners or harder to reach areas. The WG509 TRIVAC has a metal impeller plus shredder blade which provides an 18 to 1 mulch ratio. A quick tube release makes cleaning a breeze. The included collection bag holds up to 1-bushel of mulched leaves. With the TRIVAC's powerful 12-amp motor, this tool makes an efficient alternative to gasoline powered tools. There is no downtime with the TRIVAC -- blow the leaves into a pile; vac and mulch them; and dump the bag for compost or collection. Store: TraderRicks1 Condition: Brand New Price: $73.54 Total Price: $73.54 Buy It from TraderRicks1 No returns.